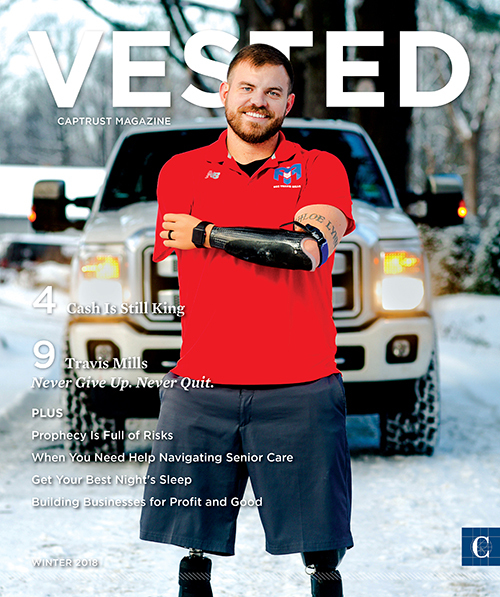 We are pleased to announce that the Winter 2018 issue of VESTED, CAPTRUST’s magazine for clients and friends, is now available. COVER: Travis Mills - Never Give Up. Never Quit.